Since I started broadcasting 99% Perspiration on April 6th, we have featured 10 interviewees who have started their own businesses around their creative/artistic pursuits. I love sharing their stories – and hope you find them uplifting, or help boost your confidence, or give you that one piece of advice you need to really get you going. On Wednesday, I attended a class by the North East Business and Innovation Centre – the first in a several part series for those interested in freelancing their own creative careers. The ‘BIC’ kindly invited me to blog about their event, “Setting Up Your Own Creative Business”. The six-hour session was led by two creative freelancers; Melanie Shee, wand Eyv Hardwick. The pair have established successful creative careers (and I’m hoping they will join me on future episodes), and were very much beacons of business brilliance for our room of wide-eyed, hopeful creatives. Eyv spoke about money with an unfaltering confidence – for people like myself, who have often treated money as a taboo topic, it was refreshing for someone to be so adamant about the importance of receiving a fair, continued price for their wage. More than refreshing, it was inspiring. I’ve been to a few talks like this in my twenty-two years, but the North East BIC never fail to surprise me with the calibre of their support. So, without wanting to give away all the tips and tricks in their arsenal, one thing I will touch upon is a resource they handed out to us; the Creative Business Canvas. It’s nothing more than a sheet of paper with some questions on it. But, if you have a creative idea, or want to get out their freelancing with your own artwork/media equipment/skills, this might just be the most perfect piece of paper. Using this chart should help you itemise important aspects when starting you a creative business, such as competitors and costs, products and pricing, and the all important “USP” factor that will set you apart from other companies like yours. And when you’ve filled in the final box, you’ll hopefully feel as much comfort in your own creativity as I did. Now when I tried to find this online, I came up short – but there are so many dozens of versions of its parent paper, the Business Canvas. Essentially, a Business Canvas a super short answer to a business plan, it’s a great place to get started and get you thinking about the overview and fundamentals of your business. Go ahead, have a Google. A fair bit more complicated looking, right? 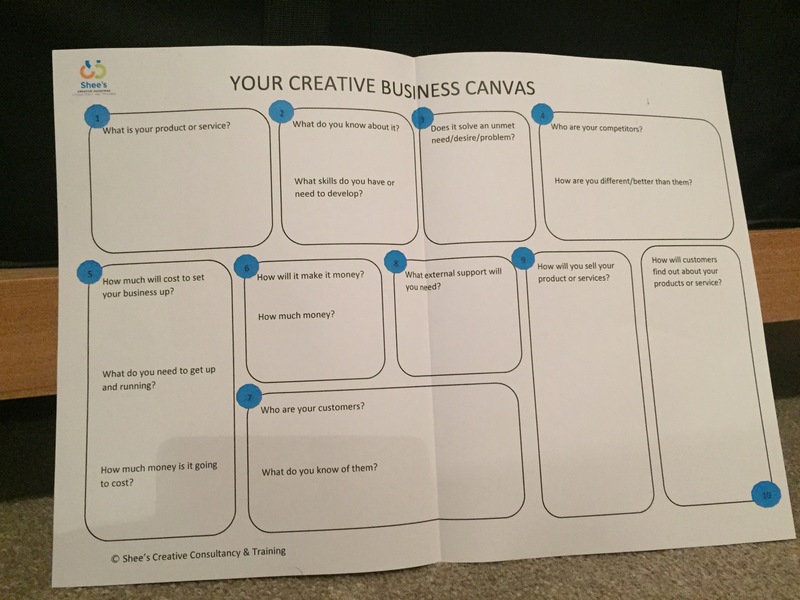 For more help with this initially daunting looking piece of paper, business advisor Mark Zimmerman has pencilled this handy pictograph to help you get your head around the creative business canvas – (click on the image on this page). Otherwise, you can check out this video series by Strategyzer, which takes a more in-depth look at different aspects of the canvas. I will undoubtedly be bringing you more helpful hints and tricks from the North East BIC in the future. 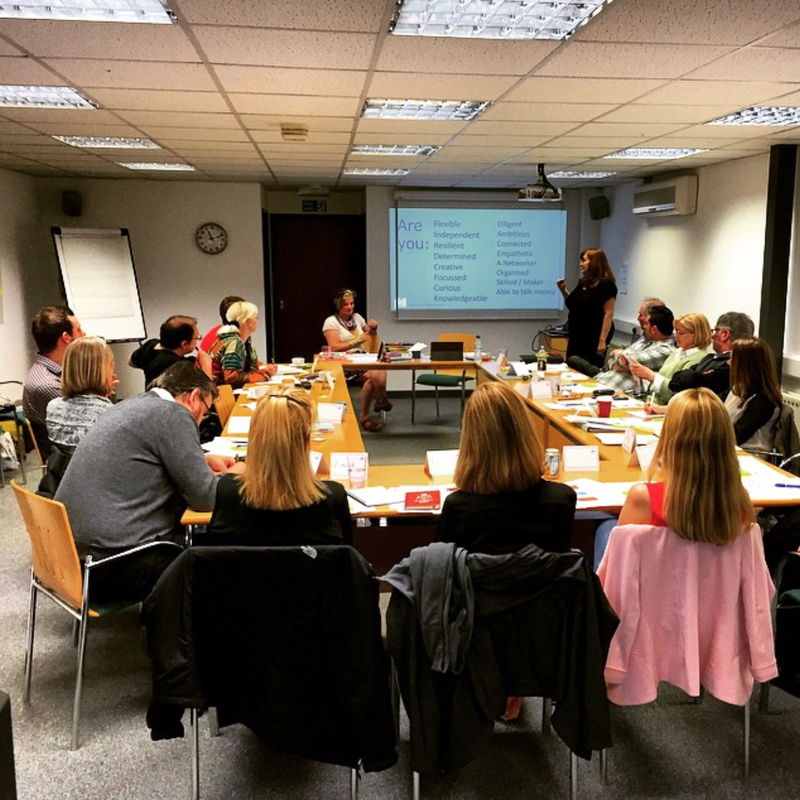 Based in Sunderland, they offer a host of courses, classes and consultations to a range of businesses/creatives in the surrounding area. But if you don’t live around Sunderland, there are hundreds of similar organisations that offer free business advice – all you’ve got to do is search for one near you, and hopefully you can find someone who could help make your business dream a reality.